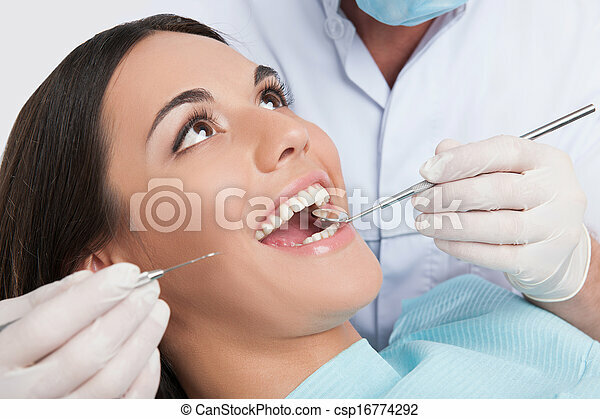 Patient at dentist office. 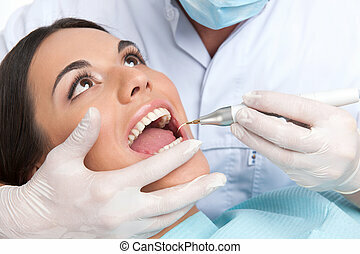 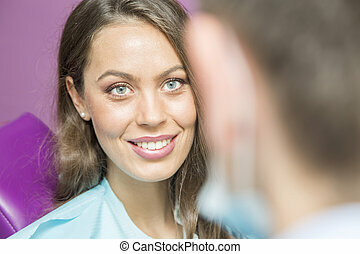 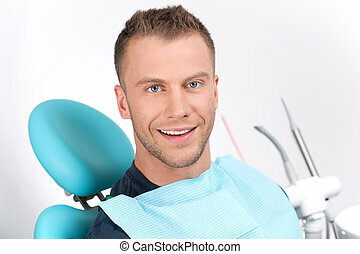 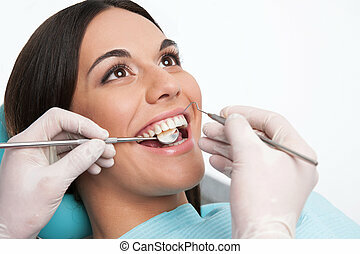 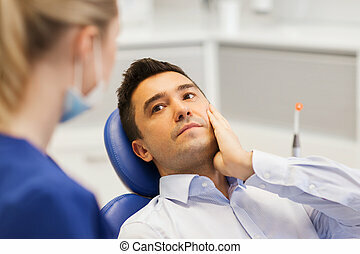 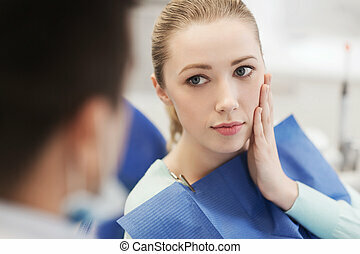 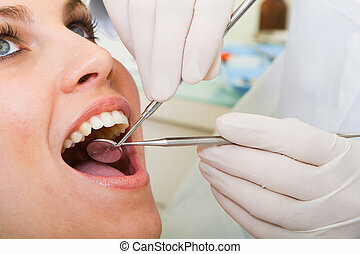 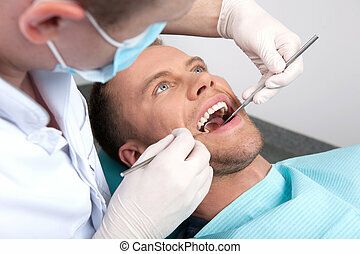 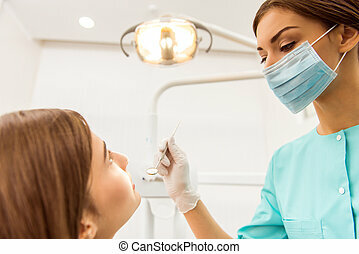 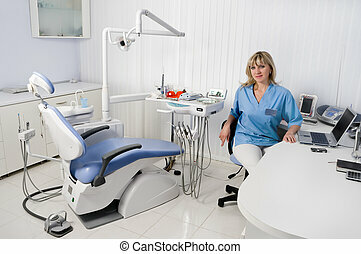 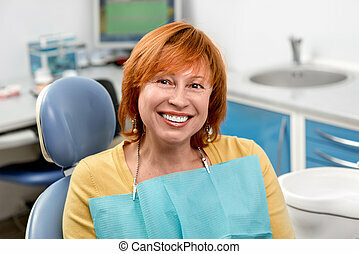 close-up of young woman sitting at the chair in dental office and doctor examining teeth. 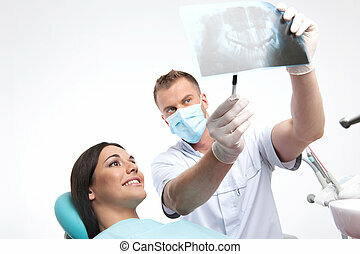 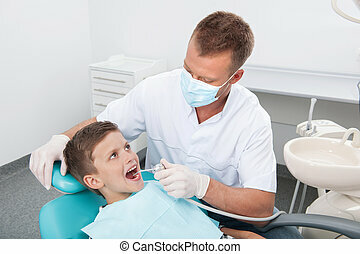 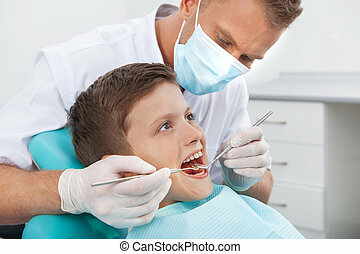 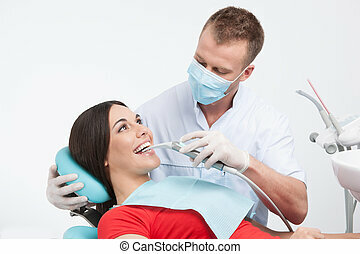 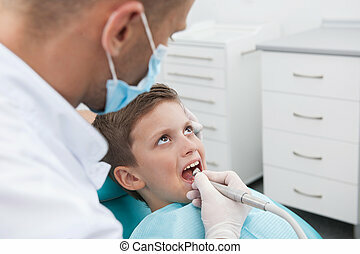 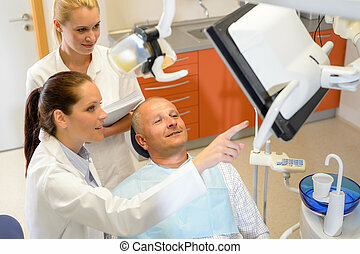 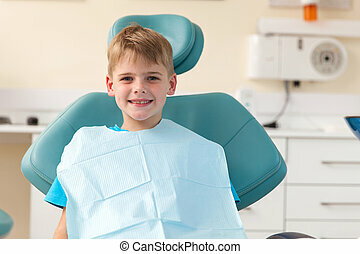 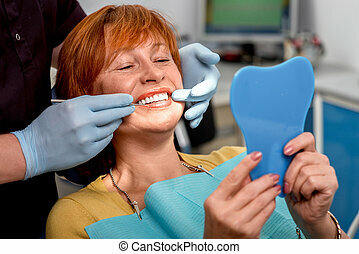 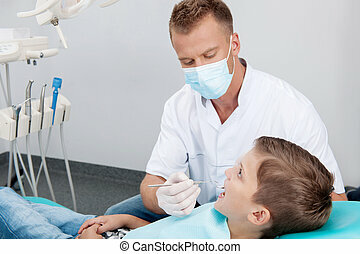 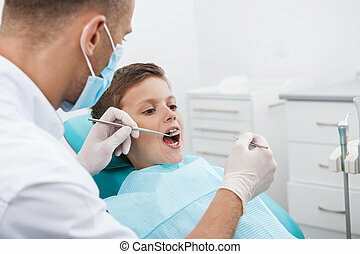 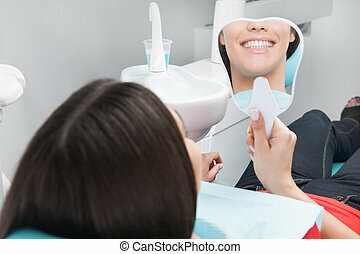 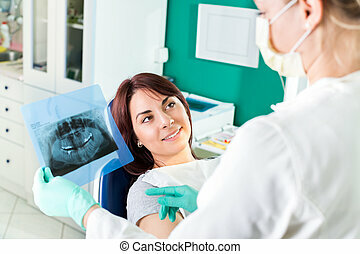 Young female dentist showing to the patient X-ray picture in she`s office.